For too long, Gross Domestic Product (GDP) has been the king of the indicators for public policy. Money makes the world go round. And GDP measures it. GDP emerged in the 1930s as a metric to measure the size of national accounts and inform policy makers’ decisions. Since, it has developed into a tool to benchmark countries’ performance: GDP growth is equated to progress. The welfare of a nation can scarcely be inferred from a measurement of national income. Since, many have challenged the dominance as a benchmark in the countries’ annual performance reviews. Most competing indices aim to rebalance GDP, by providing economic performance and add other data in areas as social matters, environment and education. This is the case for indicators like the Humanitarian Development Index (HDI), the OECD’s Better Life Index and Bhutan’s Gross National Happiness. And further beyond… all economic data! The Social Progress Index (SPI), however, has a different approach. The SPI differentiates itself from other challengers to GDP by its unique conceptual choice to stay away from economic data. Instead, it measures social progress via 52 concrete outcomes assessing three key indicators to measure progress: basic human needs, ‘foundations of well-being’, and opportunity (see more in this eloquent TEDx talk). These concepts are assessed via a series of questions asking about people’s experiences in many aspects that matter for quality of life: how many people have shelter and sufficient water? Do people live in a sustainable ecosystem? How many people experience discrimination? Survey data allow to compare such outcomes based on what people feel, rather than by measuring social issues via public expenditure or laws. Source: data from Social Progress Imperative, available here. The SPI does not measure happiness or aim to do so. Still, a glance at the wealth of data produced by the SPi suggest that their ranking broadly overlaps with the data from the World Happiness Report. All the top time countries are the same, but in a different order. Switzerland, Iceland and Denmark form the top-three in happiness; for social progress it’s Norway, Sweden and Switzerland. But there are some differences: especially Latin American countries seem to rank lower in the SPI. Countries like Costa Rica, Mexico, Brazil, Venezuela and Panama benefit from a ‘Latin American happiness bonus and make it to the top-25 in happiness, but fall short of the top-25 in social progress. To the contrary, some highly developed countries (Germany, France, Japan, South Korea) combine lower levels of happiness with higher levels of social progress. The main use of SPI as a policy tool is that it is adds knowledge on progress without building on economic data. From that perspective, it may be surprising that there nevertheless is a solid correlation of 0.78 between GDP and SPI. But SPI allows policy makers to make assessment from a different angle. The main benefit is to identify areas where a country is shortcoming comparing to peers with similar GDP levels, and to strengthen the information base about interventions that can address lower performance. In recent years, policy makers’ interest in beyond GDP indicators has steadily risen. The SPI is also benefitting from this. The European Commission has started talks to integrate the SPI to monitor regional policy outcomes. And in the US, where social progress and happiness are lagging behind economic strength, several local and state level politicians have started to integrate SPI information in their dashboard of monitored outcomes. For instance, the city of Somerville, Massachusetts, has started analysing tailored SPI analytics on the local level. And in the state of Michigan, social progress indicators are included in a set of key performance indicators. This is exactly what alternative indicators should do. GDP has a value. Economic data provide a useful understanding about people’s lives. But if you want to find out what a good society is, and whether you are on an upward or downward trend, there is a lot more to watch. The SPI provides a great contribution to help policymakers find out on which areas they should work to make their country progress. Almost fifty year since the famous speech by Robert F. Kennedy, and almost ten years after the start of a thorough debate on ‘beyond GDP’, it’s time to meet the unfilled promise. On some occasions before, I have written blog posts to encourage EU policy makers and politicians to step up their ambitions and integrate ‘beyond GDP’ indicators in their policies. For instance, see posts on ‘Gross European Happiness‘ or ‘An EU Happiness Manifesto‘, and an essay I wrote for the Next Generation for Europe magazine NGE Magazine 1 (Chapter three, pdf). And I must say, the topic is on the agenda. I recently had the fortune to attend a European Commission expert conference on ‘beyond GDP’. Noting the importance of the topic, the conference was opened by two outgoing Commissioners: Laszlo Andor, for Social Affairs, and Janez Potocznik, for Environment. How to make the giant leap from theory to practice? Enrico Giovannini, a former Italian Minister and OECD Chief Statistician, has pushed the debate on GDP forwards in the recent decade. He asked whether those supporting the idea of beyond GDP have won or lost in the debates from the last years. His conclusion was that the ‘battle of measurement’ has been won. In comparison to ten years ago, national statistic offices do a lot more effort to measure what matters. Routine measurements of social and environmental indicators allows us to get a broader understanding of quality of life than economic growth and inflation could give us. They are more and more interested in collecting and refining social figures on employment rates, NEET rates (people Not in Education, Employment or Training – a proxy for youth employment), and inequality-adjusted GDP growth. Environmental numbers like generated waste, emission of green house gasses and water use also gain more prominence. 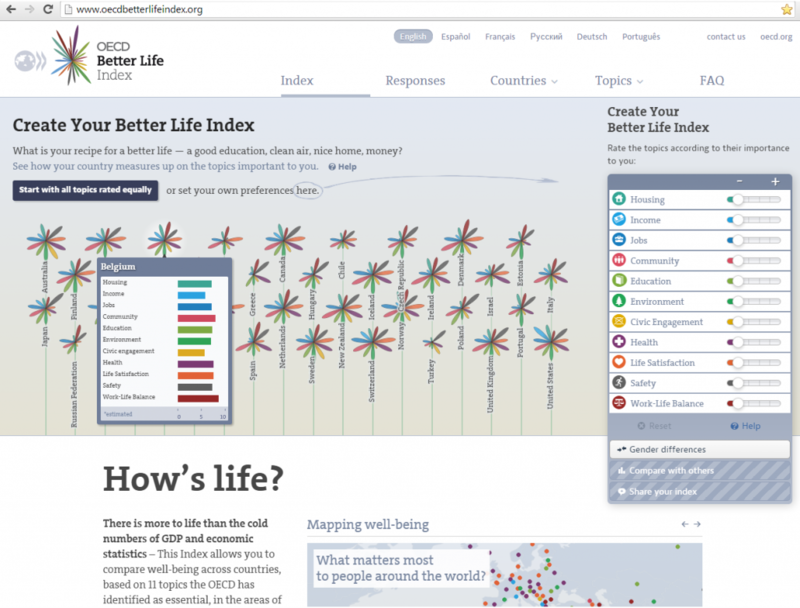 And new indices like the OECD Better Life Index treat all indicators equally. There are two questions around this: do we measure enough? And do we do enough to exploit this massive amount of data and adapt our policies to it? When asking whether we won the battle of policy, the answer from Giovannini is simple – no. If you want to make simple policies from these crunched numbers, you have to make trade-offs. How much air pollution is an increase in GDP of 1% worth? How much fossil fuels can you burn to lift one thousand people out of poverty? And what, objectively, is well-being anyway? These are incredibly difficult questions to answer. Economic growth is a lot easier objective. There is no easy way out. Can economic, environmental and social betterment go hand in hand? The Commission – via its stated objective of smart, sustainable and inclusive growth – thinks so. But MEP Philippe Lamberts doesn’t agree. He believes that in a finite planet, sustainable growth is an inherent paradox. From an environmental perspective, we may need degrowth; but at the same time, that has consequences on employment. And, higher growth is also associated with more money invested in environmental protection. How do you cut this Gordian knot? A lot of laudable work is being done by statisticians and policymakers, especially in social and environmental departments. With a lot of conviction and passion, they had managed to put the issue on the agenda. But they need to get economists more involved in these debate to get more leverage. It was telling that very few participants were trained economists. Call me a pessimist, but my feeling is that the political momentum behind the beyond GDP drive is fading. There are generic references to the agenda, but the policy efforts needs to be stepped up. In my view, policymakers need to be more courageous and bring their policies to main stream politics. That requires broad political campaigning and communication, as the new economics foundation also writes (pdf). Reports don’t change reality. Action does. Finally, maybe it is a quest for perfection that is limiting action. A perfect measurement of well-being does not exist. If you group indicators together in one figure – say well-being is ’42′ – you can make little sense of it. Similarly, a ‘dashboard’ with eleven different figure as in the OECD Better Life Index can be difficult to apply. But in this case, it appears the perfect is the enemy of good. GDP also has been refined often. It’s better to refine measures and policies of well-being on the way than to never start the journey. Beyond GDP: a long road to travel, but one that is worthy to go. Gross National Happiness – an idea whose time has gone? In a piece in between a challenge and a provocation, the Financial Times’ Beyond Brics blog this week claimed that “Gross National Happiness is a bad idea whose time has gone”. Criticising Bhutan is not new. The Himalaya kingdom famously has inspired the concept of Gross National Happiness (GNH) in the 1970s (earlier discussed in several posts). But the country remains poor. Average GDP per capita stood around $7,000 in 2013, below China and Thailand but above India and the Philippines. Bhutan. Photo via Let’s Travel Somewhere. It is a young democracy. The royal family in 2008 decided to hand over power to the parliament. The elections in 2013 where the second in Bhutan’s history and saw the ruling party hand over power to the opposition. Nevertheless, Bhutan by no means have the democratic culture similar to Western democracies. Like in many Asian countries, Bhutan has a history of serious troubles with minorities. In the 1980s, tens of thousands of ethnic Nepalis have been expelled, suggesting the idea of one harmonious society does not extend to people following other faiths than Buddhism. Do all these ills discredit Gross National Happiness as a concept to inspire government to bring about higher levels of well-being for the population? Both FT writer Alan Beattie and from PM Tobgay here blatantly misrepresent what GNH is. GNH is not a religious credo offering answers to all questions. Like GDP, it is a tool that should be used to judge where the government should focus its efforts. Using a broader indicator like GNH can help a state of offer more holistic objectives beyond promoting economic growth. GDP is better suited to factor in environmental and social criteria. GNH as a concept is not the problem. It is the lack of a systematic administration that can thoroughly implement the idea. The contradiction between GNH and basic services. 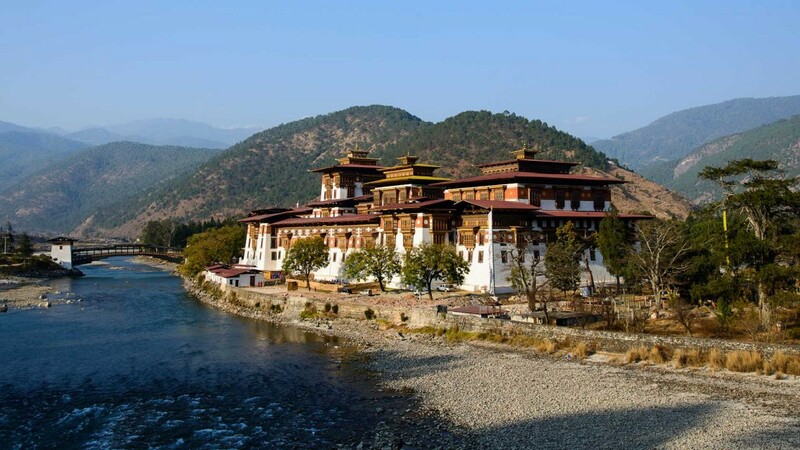 If GNH is the focal point, and you ask yourself what you can do to enhance the quality of life of your citizens, the major way you can increase well-being is realise these basic services. Spending a disproportionate amount of time talking about GNH is just as unproductive for a government as spending a disproportionate time of talking about the weather. The duty of a government is to take care of the population it governs. That means taking care of safety and security, functioning healthcare and education systems, and doing so in a way that ensure well-being and a good life for the future generation. How can people be happy without basic services? Gross National Happiness, or alternative indices offering national accounts of well-being, have also been criticised for a lack of transparency. They are not perfect. Indeed, in an autocratic state – of which Bhutan still appears to have some characteristics, there are ways to manipulate the outcomes of an index. But at the same time, GDP or economic indicators are not an exact science. They can be manipulated, albeit with more difficulty. And like GNH, elements included in GDP can be arbitrary or inflated. Should investment in research account as productive, or a cost? Should the shadow economy be included? Is prostitution productive? And what about money spent on jails or rifles, as Robert F. Kennedy asked? There is one point where I agree with Alan Beattie. He appears to support the OECD’s Better Life Index. Rather than formulating results in one number with little value per se (as GDP and GNH do), the Index offers a comparison between several objectives. This makes it easier to compare performances in different fields, and to assess where performance is lagging and efforts should be focused on. Where I disagree with Beattie and Togbay is in my belief that GNH, if applied well, is getting closer to the right answer than GDP. Considerations of GNH can set the direction. GNH is not a goal per se, but sets a horizon and offers a sense of direction. Where confronted with various options for government measures to invest in, happiness considerations can guide politicians in prioritising the area where the most impact on well-being can be made. They might sacrifice a couple of percentage points of economic growth, but perform better for social or environmental terms. The main lesson of Bhutan, in the last decades, is that there is more in life than economic development. By raising his standard against GNH, Beattie risks losing four decades of slow and hard needed progress: social, environmental and economic. Some time ago, I was ‘converted’ to the creed of well-being politics, if I may use that term. To the extent they’re willing to listen, I’ve told many people why I believe governments should adopt a broader perspective than economic growth and fully integrate environmental and social development in their policies. In this context, I’ve had the question whether I’m pursuing a personal political agenda behind this. I’ve never had a clear-cut answer to this. Firstly, I don’t see myself as a politician. It’s a tough job to have a well-founded opinion about everything. And secondly, as a person with a social-liberal disposition, I am not sure how large the role of the government can be. My recent discussions with fellow social-liberals indicated limited political support for my ideas to attach more weight to policies that can enhance well-being and happiness. And at the two congresses I recently attended, it still seemed to be seen as a creative, somewhat strange, idea. But what is the purpose of our state, if not promoting the well-being of its citizens? Part of the aversion is out of fears of governments deciding how we should be happy. Even if that’s a concern in totalitarian states, there is no reason to dismiss any government role in ‘well-being politics’. Naturally, the government should in no way tell us how to be happy. Every individual is responsible for their own life and the happiness and well-being that result from their choices. Still, there are areas where we need our governments. In the current post-crisis ‘happiness wave’, there is more attention for these policies. Media increasingly pay attention to it. On Bhutan’s initiative, the UN introduced an International Day of Happiness in 2013. Venezuela has a minister of supreme happiness. And several countries are exploring new ways to integrate well-being in their policies. The main point of the well-being political agenda is that objectives other than economic growth should be granted a larger role in political decisions. An important method to do this is the Gross National Happiness (GNH) index (see also this earlier post). If you are not familiar with its methodology, GNH by its name can come across as a vague phenomenon pursued by pot-smoking, tree-hugging utopians. But it is a lot more solid than that. The Bhutanese concept is based on 124 variables that determine an individual’s well-being or quality of life. And apart from GNH, there are many other alternative ‘beyond GDP’ indicators. Their aim is basic and revolutionary at the same time. Beyond GDP indicators (there is at least a dozen contenders) aim to benchmark the performance of a society in a broader perspective. Gross Domestic Product (GDP) has many advantages, but doesn’t reflect the costs (in economic and well-being terms) of environmental damage and social inequality. The assumption of ‘beyond GDP’ advocates that if you measure something else – GNH instead of GDP – you’ll also act differently. A state that benchmarks its performance on GNH does not neglect the importance of monetary wealth. What it tries to do is to carefully balance the benefits of economic growth with its environmental, social and psychological impact. Politicians are increasingly aware of the promise of well-being politics. One party congress I attended adopted a position calling for the use of the Index of Sustainable Economic Welfare (ISEW). But there is still a long way to go before politicians truly implement these lessons. I will play my part in convincing them. Albert Einstein was a brilliant man. He revolutionised science with the theory of relativity. He was the subject of some wicked photographs – we’ve all seen the iconic photos of the great scientist with his tongue outside his mouth and with his electrified hair. And, if we believe what we are being told, he has authored a collection of aphorisms that rivals Oscar Wilde’s and would most certainly be an instant bestseller. Wonderful quotes, but did he really say that? The classic internet joke attributes the statement “The trouble with quotes on the Internet is that it’s difficult to determine whether or not they are genuine” to Abraham Lincoln. Indeed, the internet has brought misattribution to the next level. The quote about counting, an almost mandatory reference entry in any article about Gross Domestic Product and well-being – is not the fruit of Einstein’s ingenious brain. Quote Investigator writes that instead it has been authored by sociologist William Bruce Cameron. The second one is autenthique, and given its subject is relativity, that is not surprising. 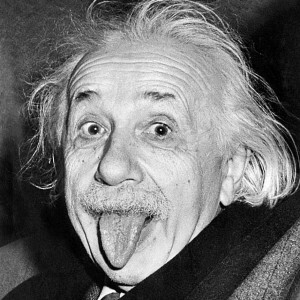 The authorities of Wikiquote contend that Einstein suggested his secretary to use the comparison with hot stoves and pretty girls as a way to explain relativity to the general public. The source of the third quote on optimism is unclear and it is attributed to various famous people. As a generic quote, it must have been around for long. And anything accredited to Einstein does get more weight. Is it a problem that Einstein can only be proven to be the author of one of these three quotes? The technique, piggy-backing on a famous name, is often used in commercials (‘recommended by Rafael Nadal’, ‘used by Emma Watson’). I wouldn’t advocate the creation of a League for the Correct Attribution of Aphorisms to right all wrongs. But from an artistic point of view, the original source deserves to be mentioned. In the current times, individual creativity and originality are highly valued. We don’t live in the middle ages anymore, where the subject of the art counted most. Often themes were openly copied (or blatantly plagiarised, in a more modern interpretation), and mostly left unsigned. Times have changed. A quick online search when you want to use a quote is the least one could do. William Bruce Cameron deserves some credit.